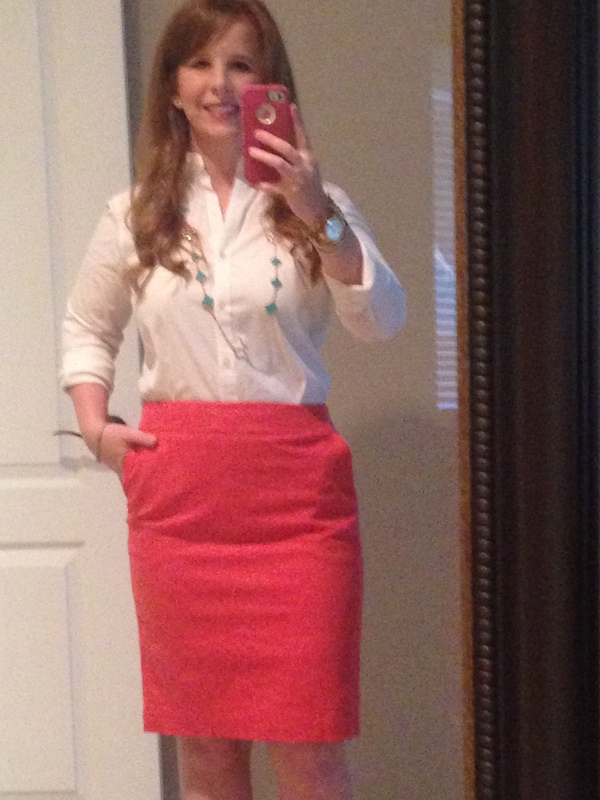 There is something about a classic white shirt and pencil skirt! It is one of my FAV combos! I LOVE this peachy pink in the summer! 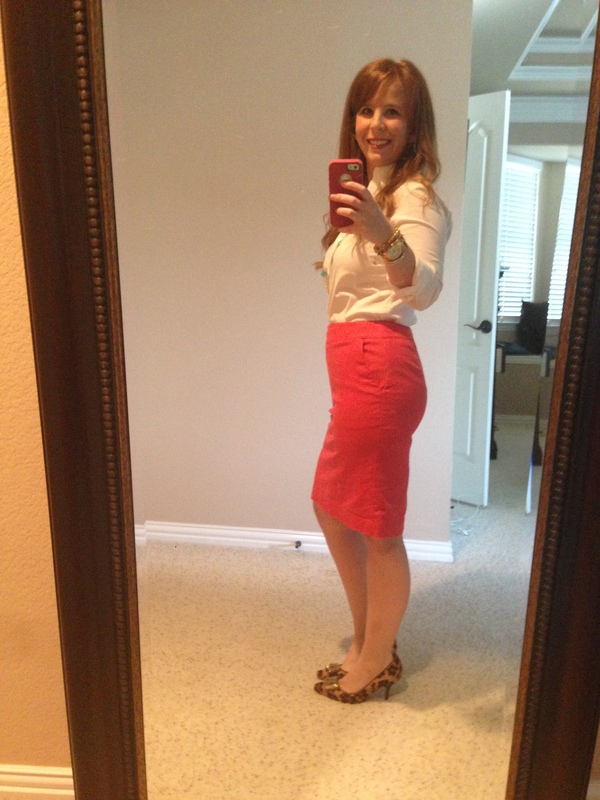 What is your favorite summer business look?